Bold yet classic, chic and homey, this is the one and the seller is motivated. Open Sunday! 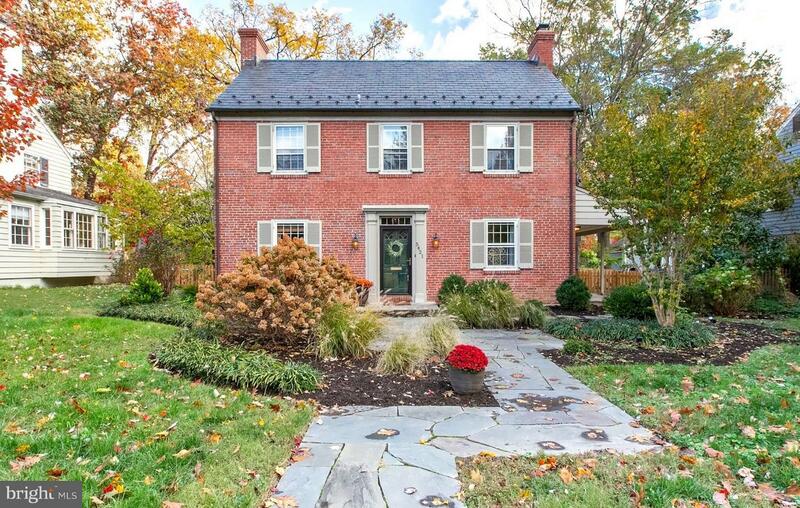 Brick colonial on coveted Springlake Way, this spacious home offers 4 bedrooms, 2 full and one half baths on a flat, fenced lot (Tax record does not show accurate square footage of rear addition & finished 3rd level). The new family room addition has a stylish vibe -- recessed lighting, custom window treatments, accent wall with modern lighting and wood plank porcelain tile flooring. The custom landscaping provides a welcoming entrance to this updated classic center hall. Central AC, beautiful wood floors, open side porch with stone patio and first floor powder room. Lower club level has a cozy, library feel complete with a woodburning fireplace and adjacent workout/workshop/storage space. Completely finished attic space has multiple uses -- guest room, office, meditation -- the options are endless. Soaring ceilings and a view over the spacious backyard adds the finishing touch to this bonus space. Come and discover North Baltimore's premiere neighborhood with the famed Olmstead-designed lakes, stunning architecture and tree lined streets. Make Homeland your home sweet home.